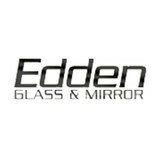 Edden Glass and Mirror is a glass installation authority. Whether you’re an architect or a design firm looking for custom glass solutions for a new project or a homeowner searching for the best quality and exceptional beauty in your home, we can offer superior options. Our glass experts are here to help you select the right product and aesthetic design for your needs. With over 30 years of industry experience, Blizzard Frameless Shower Doors has developed the most sophisticated and proven design process on the market. Our design expert will work with you on-site, helping you visualize your ideas to create the most beautiful and functional shower enclosure obtainable. We Want To Make Your Bathroom Beautiful ! We Love what we do and so will you. Over 15 years of experience in the field and a consistent drive to excel in the glass door business has made us a company that you can trust, committed to providing quality service to our clients. We have expertise in project management from commercial to residential projects we fulfill all your glass doors needs. Designing glass doors is our passion and having the knowledge of the strict industry standards, technologies and working with best manufacturing companies we can make your project a truly work of art. Utilizing the best suppliers and licensed contractors in the industry when redesigning your bathroom is one of the most important parts of your project but a glass shower door might be the single most influential piece of your project, whether it is a simple bathroom renovations or brand new construction, choosing the right glass, brand name hardware and glass patterns will make the difference to the finish look of your project. 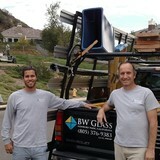 BW Glass is a family business helping people throughout the Conejo Valley for over 20 years. Vincent (Shop Owner): Vincent,Vince, Vinny, or Vin like his name he has many hobbies. Some of which include growing grapes and making wine, participating in triathlons, and sailing. Nathan (Lead Technician): Nathan is a true artisan who enjoys building rustic furniture, cycling, and hiking. Abraham (Assistant Technician): Abraham is a quick study that has a great passion for cars and really anything with wheels. Established in 1947 by Eugene Pastor after serving in the United States Navy during World War II. Eugene created MET-TEC Shower Enclosures and our Solid Brass Framed Enclosure line with the purpose of offering customers the highest quality and most luxurious Shower Enclosures. And for past 67 years we are proud to have continued those uncompromising standards. Though our founder as long since past away, his legacy and his standards for manufacturing Shower Enclosures are maintained to this day by his oldest son Gregory and his grandson Patrick, keeping our company family owed and operated. For over 40 years Beverly Hills Glass Inc. has been bringing quality service to the neighborhood. Frameless Shower Doors, Mirrors, & Storefronts. Glass Replacement Windows, Glass Bi Fold, Sliding & Pocket Doors (Fleetwood, LaCantina, Panda, Pella, International Window), - Glass Walls - Entry Doors - Glass Railing systems - PDLC Switchable Glass - Window Tinting - Graphics on Glass - Beveled Glass - Mirrored Wardrobe Doors - Storefronts Emergency Board-Ups available Customization is our core strength. We can deliver close to anything you design or dream. We will collaborate with you to realize your vision. You will find us to be competitively priced, paying close attention to the details of each and every project, delivering excellence each time. We look forward to building lasting relationships and we guarantee your satisfaction! Minimum Service Call $235.00 . Born and raised in Orange County CA, Fidel Campuzano has been installing shower doors for more than 10 years. He found that there was a need for affordable new shower doors and replacement parts, and attentive customer service, and he left the employ of a larger company to start his own business. Customer satisfaction is his biggest priority; he listens first and takes the time to fully explain the design choices, pricing, timing and installation. He takes pride in his work and gets a lot of satisfaction from seeing a completed new or remodeled bathroom with a stylish shower door enclosure. Fidel works with general contractors, interior designers and homeowners for the design and installation of a new shower door. The Shower Door Shop is the leading online resource to buy custom glass shower doors, sliding door parts, and shower door hardware and accessories at amazingly affordable prices. In addition to low prices, do-it-yourselfers can use the online “Build-Your-Own” tool to configure and order a shower door. For more information, please call, (714) 884-3420. We have been offering auto glass repair in Tujunga and windshield repair in Sunland, CA for more than 12 years. We have mobile units that can come to your place to do any auto glass replacement. auto glass replacement in Tujunga, windshield replacement in Tujunga, auto glass repair in Sunland, windshield replacement in Sunland, mobile auto glass in Tujunga, mobile auto glass in Sunland, car glass repair in Tujunga, car glass repair in Sunland, cheap auto glass repair in Tujunga, cheap windshield repair in Sunland. Call us today and get your estimate today at (818) 650-0881. We provide same day replacement of most cars. Our company's shower doors and enclosures are one of our many specialties! We offer a vast array of shower doors from standard to custom designs. We can design and install custom frameless enclosures in a variety of patterns and hardware to match your decor. We also design custom mirrors, sliding doors, wine cellars, glass staircases and pool enclosures and much more! Contact us with questions. Stunning glass for every home or business - From store fronts to windows or mirrors, get high quality glass from us that's durable, dependable, and versatile! Frameless shower door specialist. We have a quick turnaround with competitive pricing. Oakstone Glass Corporation would like to introduce ourselves. We are a state of the art contract glazing company that will meet all of your glass and glazing needs. Along with competitive pricing and over 90 years of experience, we here at Oakstone glass strive to be #1 in the industry. If you’re searching for a quality glass company in the Simi Valley area, look no further than AIM Glass & Mirrors. We put excellent workmanship first, so you’re completely satisfied with your door installation, window glass replacement, glass shower door repair, or whatever other glass services you need. As a licensed and insured business, we want to give you security and peace of mind no matter how big or small your job may be. From custom glass fixtures to replacement door glass and beyond, AIM Glass & Mirrors will work hard to give you our best. Call now to get your free cost estimate! Glass Window Repair Glass Shower Doors Custom Glass Cutting Licensed & Insured 20 Years of Experience We provide residential and commercial glass services throughout the greater Simi Valley area. Contact us if you need glass replacement, glass repair, or custom glass cutting in Santa Paula, Moorpark, Camarillo, Thousand Oaks, Oxnard, Ventura, Fillmore, Santa Clarita, Saticoy, or anywhere else in the region. We’re one of the most comprehensive glass companies around, able to meet even the most complex custom glass needs. We also offer commercial and home window repair and door repair for non-glass parts, including frames, screens, and hardware. Our top consideration is ensuring that you gain access to superior craftsmanship when you choose AIM Glass & Mirrors. We also offer great customer service. When you make us your go-to glass company, you can expect a positive experience, start to finish. We’re able to accomplish this thanks to our high level of training and our 20 years of experience in the glass cutting and replacement industry. Whether you need a new glass display at your business or glass window repair at home, you can trust us to give you exceptional results. For more information, contact us via phone or e-mail today. We’ll happily give you a free estimate, and we’ll schedule an appointment to discuss your door glass replacement, bathroom mirror installation, or glass shower door repair needs in more detail. AIM Glass & Mirrors is one of the best glass companies in Simi Valley, and we can’t wait to show you everything we have to offer! What can a local Thousand Oaks glass company help me with? If it’s a major home glass repair or replacement, the Thousand Oaks glass company should work directly with your insurance company to help bring down costs for you, if applicable. Find Thousand Oaks glass companies on Houzz. Narrow your search in the Professionals section of the website to local glass, mirror and shower door services in Thousand Oaks, CA and read reviews and ratings to find one that fits your needs.